The Red Wine Serenaders, there are no better words that define them! This is a musical project born about three years ago featuring a talented combo of musicians who passionately play country blues and ragtime, hokum, jug band and rural music from the 20s and 30s. Veronica Sbergia and Max De Bernardi, originators of the project, like to keep this precious musical heritage alive faithfully reproducing its original sound whilst playing it a modern twist. 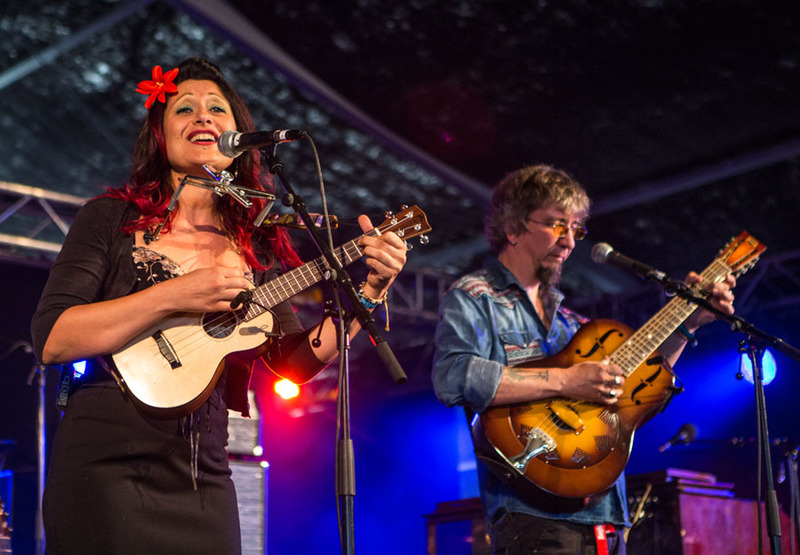 The band use strictly acoustic instruments such as ukulele, washboard, kazoo, resophonic guitars and double bass. Their passion for this music is perfectly represented on their releases including 2014’s ‘The Mexican Dress’ and 2012’s ‘Old Stories For Modern Times’. The latter also sees contributions by other leading musicians and friends including Sugar Blue (a legendary harmonica player in the past with the Rolling Stones, Bob Dylan, Willie Dixon and Frank Zappa) and the world master of resophonic guitar, Bob Brozman. Their 2012 release is an overview of the American popular music from the early years of the last century with the Red Wine Serenaders reinterpreting great songs by artists like Big Bill Broonzy, Memphis Minnie, Jimmie Rodgers, Sidney Bechet, Lucille Bogan, Bo Carter, Delmore Brothers in their own unique style.